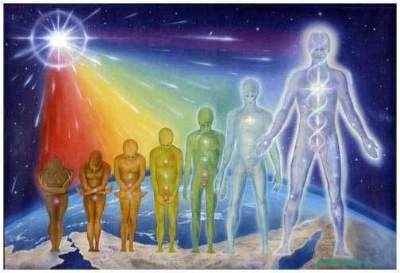 How long do we live in the Spirit World between Reincarnation? What Leon has described coincides with what I have read in Andre Luiz’s books. Spirits who are dedicated to improving themselves do request to return to physical life within a decent time period. On the other hand there are spirits who have wandered the earth for hundreds of years, seemingly stuck in place for a very long time. Although, eventually they will awaken to the call of a better life. In the book, Memoirs of a Suicide, Camilo Castelo Branco, stayed in his celestial colony for a considerable time longer than the others in his group who also killed themselves. While they spent the range reported by Leon Denis, ten to thirty years being rehabilitated and then jumping back into their physical trials, Camilo, dreading the required difficulty of his next life, spent longer in the spirit world. Therefore, independently of Leon Denis’ observations, I believe he is correct; first, there is no set time, as in the physical world, everyone is different. But, for those who are actively pursuing their path of improvement, the pace of returning to earth is more regular. For those who wish to learn more about the Spirit realm and what is it like to live there and what are the different levels, I have a book which explains why you are on earth and what happens to you in the spirit world, please read, Explore Your Destiny – Since Your Life’s Path is (mostly) Predetermined. What are the Levels of Inhabited Worlds in the Universe?